Since the crucial fall of bird-life in 2010, the bird-life has rebounded successfully. The birds of Mozambique can be seen as exotic and tropic with approximately 740 different bird species ranging in colour and size. Bird watchers often flock to Mozambique to find species that could either be at home in Mozambique or come from the outside. The birds that flock to Mozambique cannot be classed as particularly rare in Mozambique itself, but some of the bird-life here would be new to foreign bird watchers. Every once in a while a rare and beautiful bird might be noticed by the unexpected bird watcher. The species of birds found all over Mozambique can range from area to area, which offers more variety classed under the different classifications (raptors, song birds, swifts and more). 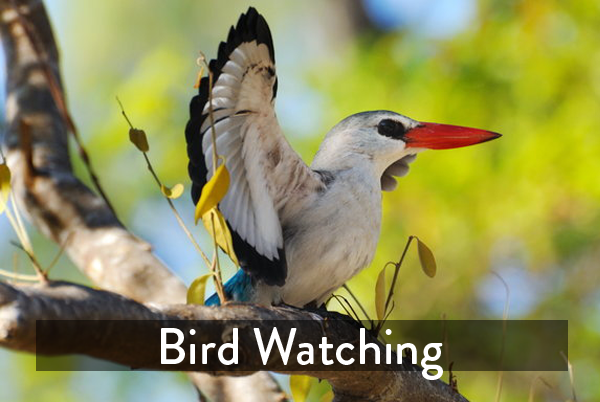 With such a variety of bird-life hiding away in Mozambique, bird watchers are sure to see some worthy species.